Being in a cast is no picnic. But sometimes it’s necessary to heal a bad injury. 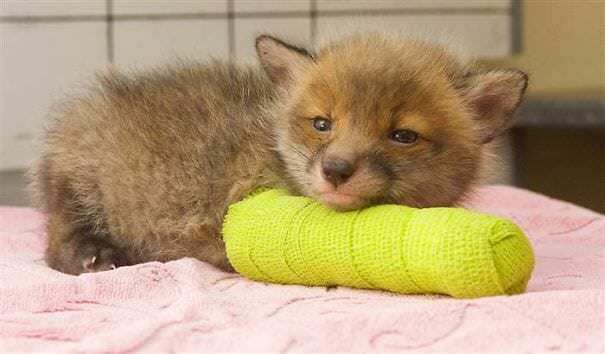 And humans aren’t the only ones who have to deal with casts. 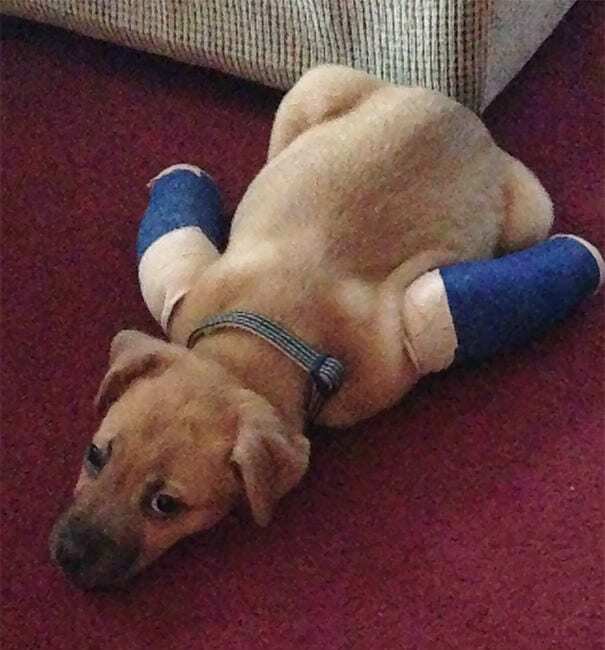 Sometimes veterinarians will use casts on animals to make sure their injuries heal correctly. And when they do, the results happen to be incredibly adorable. This poor little bunny hurt his front right leg. There’s isn’t going to be any hopping from him for a little while. 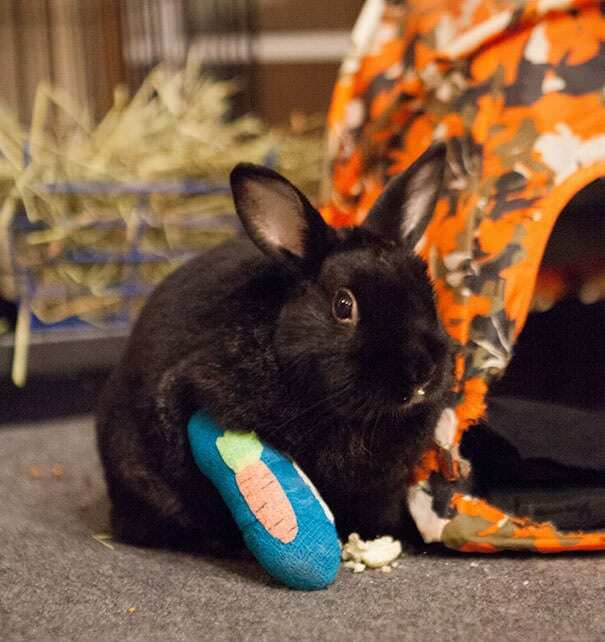 His casts even have little carrots on it! I am overwhelmed with cuteness right now. Look at his teeny tiny little face and his arm sticking straight out. Poor little baby! 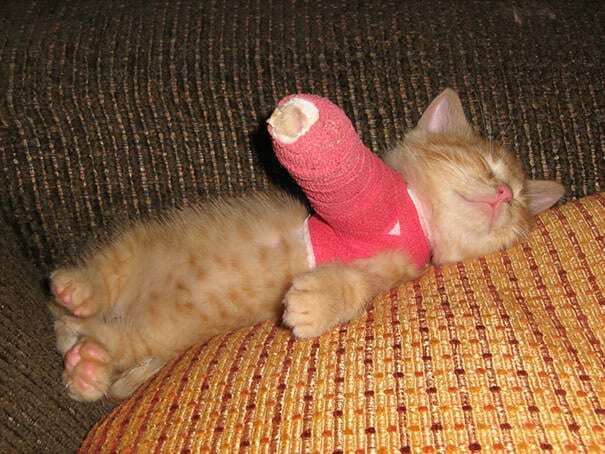 This cat broke his left after jumping out a window. Now he thinks he’s a tough guy with his skull shirt. 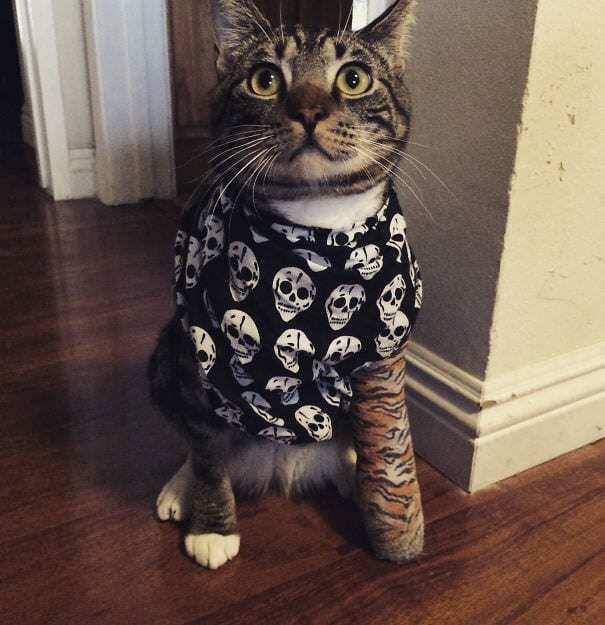 He thinks he’s a tiger with his new cast. This little angel is taking a snooze after one bad day. Now that she’s all patched up, she’ll be able to heal quickly. She’s just not used to sleeping in this position. 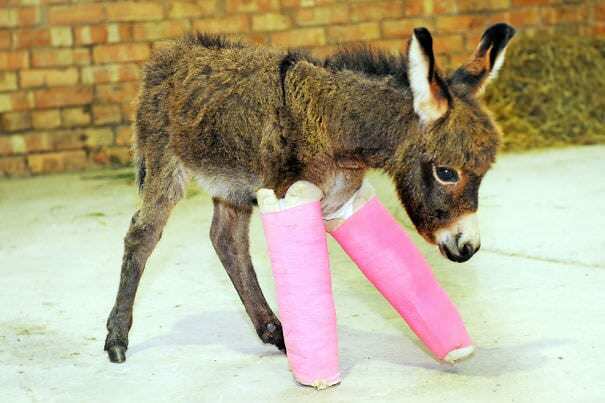 These casts are going to give this donkey a new lease in life. They are straightening his legs out. They will be nice and strong when he’s done wearing them. This poor guy little looks like he’s not having the best day. His cute little paw is all wrapped up. 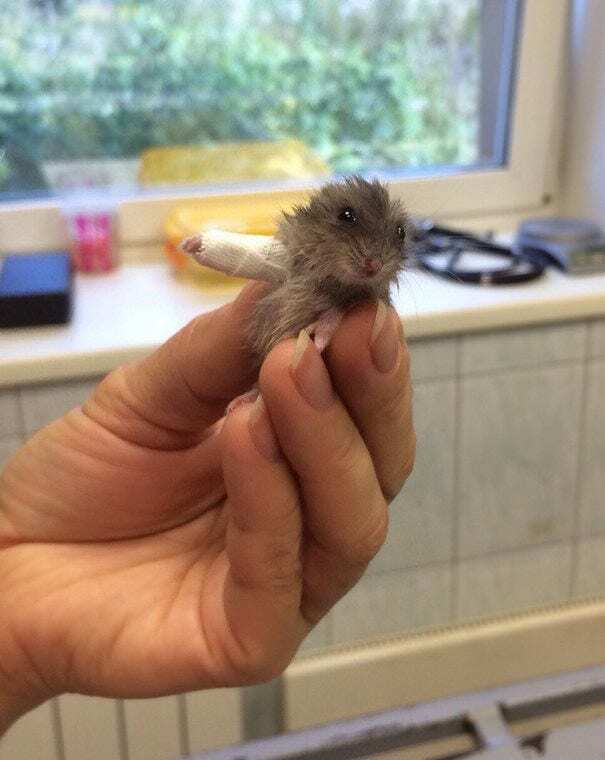 This baby’s got a boo boo. This guy is not having the best of luck. 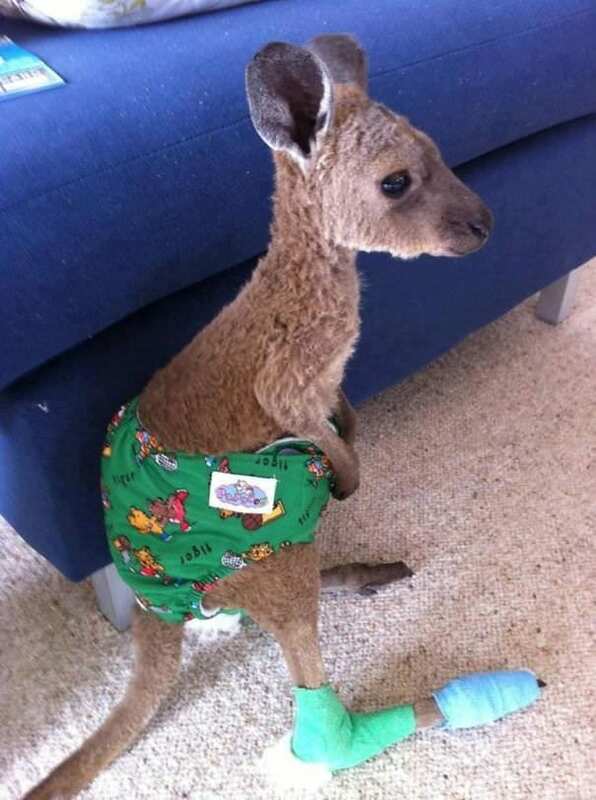 He had to have both of his front legs bandaged up. He was good as new just a few days later and was back to running and climbing. This baby squirrel is having a rough go at life so far. 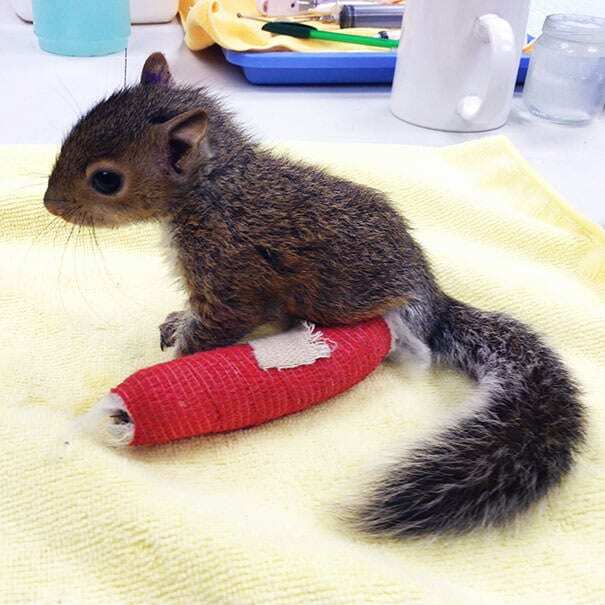 He fell out of a tree and needed this tiny cast. He’s gonna be OK though. 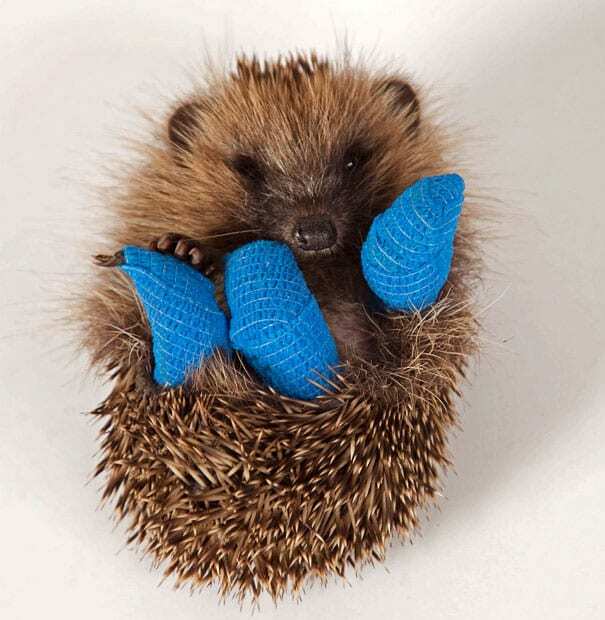 This tiny hedgehog was found with three broken legs. 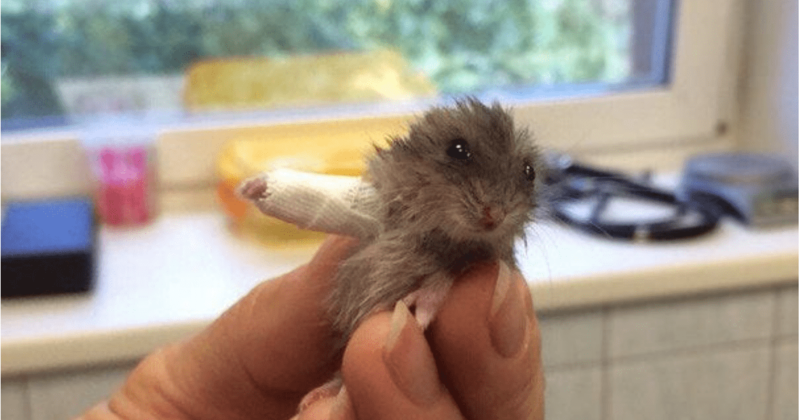 He was brought the hospital where he was given three tiny casts. For his tiny hedgehog legs. We saved the best for last. There’s just so much “awwww” factor in this picture. Between the cast and his little cartoon diaper, we’re really not sure what’s cuter.